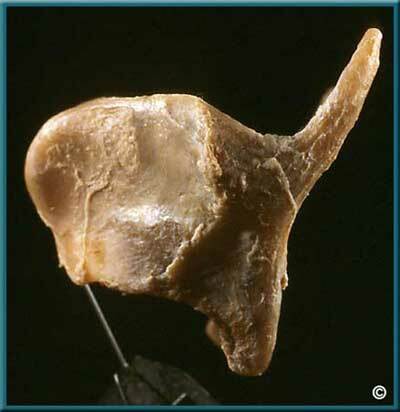 Thyroid cartilage, lateral view. Note superior and inferior tubercles on lamina, oblique line, superior and inferior horns. This might be called a classical specimen.